Last week the Core Developers discovered and fixed an issue that prevented NavPi’s updating 4.2.0 and signal their support for the community fund accumulation soft fork. It was good to see Core Developers rallying to fulfill the objectives laid out in the Developer Manifesto — ensuring the stability of the network takes priority over all other tasks. So thanks to everyone who helped out — and burned the midnight oil for the greater good of the NavCoin network. Are you following the NavCoin Community Twitter account @NavCoin_Global yet? It’s a great place to keep up to date with everything that’s going on in the wide world of NavCoin. They’re doing a great job of helping to spread adoption of NavCoin in the wider community and how to encourage merchants to accept NavCoin. If you have any other ideas about how to get NavCoin accepted at your favourite merchants, please let the community hear about it. Post your ideas in the #community-action channel on Discord. CoinPayments helps everyone in the NavCoin community by making it easy to pay using NAV. This week they’ve gone a step further with this Tweet promoting NavCoin to their followers. To support Coin Payments, start by checking out their directory of stores accepting NAV, then get out your NavCoin wallet and buy something. In Iceland on his way to Berlin, Rowan was rocking his NavCoin t-shirt. Where are some exotic locations you’ve worn your NavCoin gear? Share your pics with the community on your favourite social media with the hashtag #NavCoin. Core developer Paul @Red01 (on Twitter) gave this video interview to The Futurist Project on why businesses should accept digital currencies. Watch it here. If you agree with the consensus change and want to signal your support for the community fund accumulation soft fork, make sure you download this new version of NavCoin Core and resume staking blocks. hash512 (on Discord) has been working with Sakdeniz to get NEXT running on his NavCoin m8. It should be ready to go on sale in early July, after a little more burn in testing. NavCoin m8 will be deployed with the NavCoin software, the NEXT wallet, and a bitcoin wallet installed. Any other Proof of Stake coin wallets that have been tested will also go out at launch, or be added at a later date. Social media was a big focus last week, with the creation of a series of posts on the NavCoin Core 4.2.0 release, the 4.2.1 hotfix, CoinPayments, and the Developer and Content Manifestos. There is now a large pool of social posts buffered and ready to go, meaning NavCoin will have a continuous presence on the key social channels. The Core Content Collective continued their work on updating content in the refreshed navcoin.org developer site and navhub.org community site. You can see more detail on how the Community Fund will operate here. social channels and on navhub.org. First up this week is a reminder about the latest version of the NavCoin Wallet that is available for download. In other news this week, Encrypt S have updated their projects on the NavCoin Community Roadmap to include the Kauri Wallet project, Craig embarks on a tough charity challenge, and community members have posted handy tips on choosing the right NavCoin wallet and updating to NavCoin Core 4.2.1. It’s always interesting hearing how people got into crypto. With that in mind, xVicious started this fascinating thread on Reddit — asking community members to share how they first became aware of NavCoin. What’s your NavCoin story? Join the conversation here. In this latest post at navcoinitalia.com Nio (on Discord) talks (in Italian) about SEC regulations and what they could mean for decentralised cryptocurrencies. Watch it here. Globe-trotting NavCoin Core developers Matt and Rowan caught up over a beer with community moderator Jonathan in Berlin. It looks like Rowan definitely earned that beer — here’s another perspective from his visit to Iceland on his way to Berlin. By now NavCoin Core Developer Craig (prole on Discord) is a few days into his Oxfam Refugee Ration Challenge. Over the course of the week, he will discover what it’s like to survive on the strictly limited amount of very basic rations Syrian refugees are issued, Craig’s aim is to raise $10,000 NZD for the cause. You can show your support by following his journey on his Instagram and Twitter. Or you can sign up as a sponsor here. The Kauri wallet is a new open-source multi-currency wallet that is being developed by Encrypt S. NavCoin will be the first coin to get access to the wallet’s advanced features. Added automatic testing of the app size so it doesn’t grow too large, unnoticed. Merging translations into the build and deployment processes, so Kauri can work across all platforms in multiple languages. Investigation and testing of different library options for the core Kauri Wallet blockchain code, including bcoin, bitcoin-js and bitcore-core libraries. Research and discussions about the wallet UX. Research how to create a decentralized exchange that works seamlessly with Kauri and other platforms. Development of a feature for Kauri API that allows it to be run with zero-configuration. Developers will be able to run the binary on their machines and the Kauri API will automatically download, extract, configure, and start the navcoind daemon utilising a custom data directory, so that the default nav configuration directory is left intact. This will allow for a smooth development workflow as devs connect front-end Kauri wallet UI elements to the API while working via localhost. Set up a pipeline for translating the app. Setting the base translation solution to enable automated updating of translation files when text is changed in the app. Creation of a tool to check how many lines in app are untranslated for each of the supported languages. Look out for more updates and information as work on this project proceeds over the coming months. Prodpeak made a post on Reddit asking for ideas on new features to add to the NavExplorer block explorer tool. Read his post and chip in your thoughts via the comments section. Alternatively you can collaborate with him on GitHub. Have you taken a look at community developer Sakdeniz’ NEXT wallet yet? Last week he released the the 1.0.2 alpha version for Windows, MacOS and Ubuntu. You can see the release notes here. Work continued on NavCoin Core to allow the creation of unit tests for the Community Fund and testing of upcoming new cold staking features, and Docker releases were created for both 4.2.0 and 4.2.1. Have you seen the NavCoin Brand Guidelines? It’s a great place to start when you want to start developing your own material for NavCoin. It’s comprehensive and everything is laid out clearly, making it easy to create great looking videos, banners, infographics or whatever else you want to create. Download your copy the Navcoin Brand Guidelines here. Generate awareness of the update to the NavCoin Core protocol. Let NavCoin stakers know where to download the new wallet if they agree to the consensus change. Show how accumulation of NAV in the Community Fund will work. If you haven’t already downloaded the new NavCoin Core 4.2.1 wallet to add your vote to the 75% consensus necessary to begin accumulating funds, you can get it here. 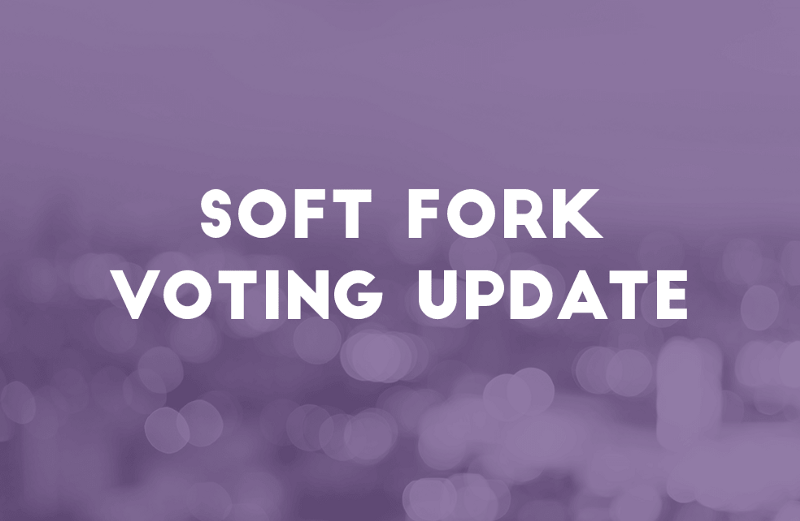 At the time this edition of NavCoin Community News was published, the 75% ‘yes’ vote necessary to approve the NavCoin Core 4.2.1 soft fork had been exceeded. If the level remains above 75% at the end of the current block period (2197440), the soft fork locks in and is scheduled to activate after another block period (at block number 2217600). Once that happens accumulation of NAV in the NavCoin Community Fund can begin. This is a significant step in the development of the NavCoin community, because it makes it possible to reward members for their contributions. Activation of the Fund itself, and the ability to submit proposals will be the subject of another soft fork in the near future. The idea behind this first phase is that there will be a pool of NAV ready to go when the Fund is launched. There will be more details about proposal creation once the code is ready to be released. Important notice for Core Wallet users. Once lock in occurs, updating to NavCoin Core 4.2.1 immediately is essential for stakers to ensure they remain connected to the network. All full node wallets — such as the NavPi & NavCoin Core — must download the new wallet before block 2217600 or you risk getting dropped. Engage with the community fund. NavCoin Core 4.2.1 reduces staking rewards from 5% to 4% to enable NAV to accumulate in the Fund at the rate of 0.25 NAV per block — which equals approximately 250,000 NAV per year. Once the next stage of the Community Fund is activated you will be able to propose your own projects and vote on initiatives put up by other community members. When a proposal is approved by network consensus it will be eligible for payment from the Fund. For more details on the NavCoin Community Fund and how you can participate check out navhub.org. There has been a shift in emphasis for this week’s NavCoin Community News, bringing the main focus back to the work being done by developers. The reason for the change is that much of Community News was doubling up on what was already available on NavCoin’s busy social channels. If you want to catch up on what other community members are up to, head over to @NavCoin_Global and @NavCoin on Twitter, and the NavCoin groups on Reddit and Discord. From there you’ll also be able to follow and engage with individual NavCoin community members. Just be aware of imposter accounts. If in doubt check with the community on Discord. Last week the network was affected by the clock-sync bug. This wasn’t a malicious attack, and the NavCoin core developers, assisted by community contributors, were able to resolve it within 24 hours. This bug is fixed by the 4.2.1 soft fork, which is another very good reason to update your Wallet now. This week NavCoin Core developers continued integration of the Kauri Wallet with the Kauri API to optimise developer workflow. After addressing team feedback, enhancing the implementation and testing, the workflow for UI development is stable. Pull Request #48 was submitted on Github to add Google Lighthouse performance monitoring to the Kauri build process. The next stage in the Kauri project is to build the basic functionality that will make up the features of the Wallet. Work is underway on the new asset download page for navcoin.org. This page will include logos, screenshots, community artwork, icons and more. The UI for navhub.org has also been updated. As the Community Fund gets closer to launch, testing has begun and remaining features are being added. Proposal and Payment Request versioning allows expansion of these properties in the future without breaking backwards compatibility of the database. The durations of the votes for proposals and payment requests is limited to a predefined amount of full voting cycles. If voting started before the expiration of the proposal, Payment Requests can still be voted on after the deadline date of the Parent Proposal, because the deadline is now set relative to the moment of its acceptance. Hash512 is getting close to releasing the NavCoin m8 stakebox. Here’s the latest on its specs. NavCoin m8 runs a 2 or 3GB ram S912 (8-core 1.5Ghz) or S905W (4 core 1.2Ghz). It features a full Linux 64 bit operating system and Ubuntu Mate 16.04. NavCoin m8 has the ability to build and run a full navcoin-qt wallet, navcoind and NEXT. It runs on SD storage, USB flash drive or a USB hard drive, and there are a range of accessories available. For more information check out the M8 channel on Discord. Finally a community appeal. If you have language skills you can make a simple and worthwhile contribution to the community by joining Transifex and translating NavCoin Core into another language. Currently there are 85 languages being worked on, so check it out and see how you can help. The NavCoin core team has started putting together a dedicated Youtube channel. This makes it easier to find and share content made by the Core Content Creators and the wider NavCoin community. Check it out here and subscribe. On Sunday NavCoin Founder Craig completed the Oxfam Ration Challenge. His supporters donated a total of $3,822.54 so far, which means he has raised the most money of any individual in New Zealand. Surviving on the limited diet supplied by Oxfam to refugees gave Craig and his supporters a stark insight into the effects of this humanitarian crisis. You can read Craig’s thoughts on his Challenge week on Medium here. You can still donate to the Oxfam Syrian refugee appeal here. The big news this week is that the NavCoin Core 4.2.1 soft fork has now been activated, enabling the NavCoin Community Fund to start accumulating NAV. That means the network is on the way to building a pool of 250,000 NAV per year to fund projects proposed and built by NavCoin Community members. As a member of the community it’s something you can be proud of, because the Community Fund will be the world’s first dual consensus blockchain development fund. NavCoin community members who are staking on the network will be able to vote on projects they believe merit funding. Later they can vote again to release payment to the project owner if they agree that the project has met its objectives. 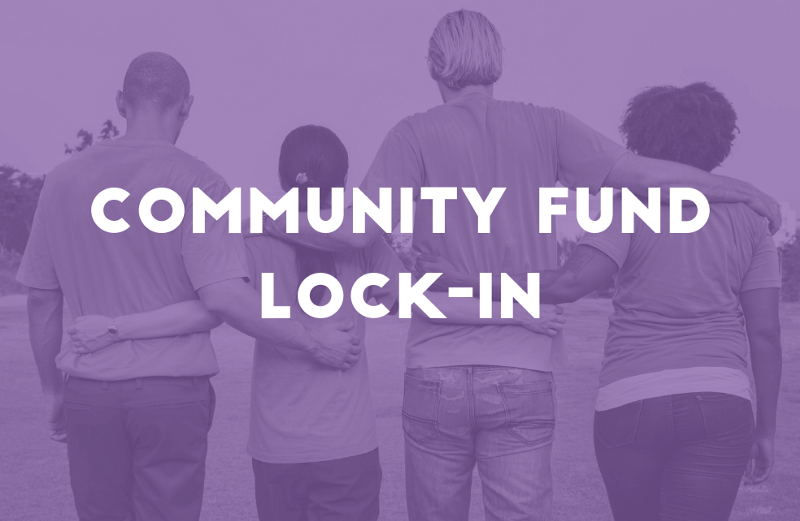 Stage two of the Community Fund’s activation is being rolled out over the next few months, and will include the launch of a social platform and educational content to make collaborating with other community members on projects easier. In the meantime, testing of the proposal and voting mechanism is underway. Once the code is fully tested and is getting close to release you’ll get more details on how to create and submit proposals. To continue staking your NAV and securing the network you need to update to the latest NavCoin Core 4.2.1 wallet as soon as possible. Because this protocol update includes a soft fork which fixes the the Time Sync bug, it is essential for network stability that you update, otherwise your node will be dropped from the network. This soft fork is now live — so if you’re not in the majority of NAV stakers who have done it already, make sure you download the new version of the NavCoin Core Wallet now. Along with the Community Fund, much of the focus of NavCoin Core developers over the past week has been on the Kauri multi-currency wallet project. The response for getting raw transactions from the new Kauri API was added to v0.1.1 of the API specification on SwaggerHub. This API spec is a blueprint for initial prototype development and formalises the relationship between the front and back end of the Kauri wallet. The Apache Cordova implementation, which enables the cross-platform mobile deployment of Kauri is being reviewed and tested for iOS and Android. A Proof of Concept has been developed for a master seed phrase that can be used for all currencies in the Kauri Wallet. This means users will only need one master key to generate keys for all currencies. The next features to be developed for Kauri will be address generation, getting wallet balances, and a patch to make building the wallet easier on some versions of Mac OSX. To provide easier access to resources that you can use to create your own NavCoin promotional material a new assets page has been created for the NavHub.org community site. It contains the NavCoin Brand Guidelines and a library of downloadable asset packs, including logos, web assets, and art from Beekart. What’s more, because the NavCoin community websites are static sites generated using GitHub, anyone can contribute to them and add in their own assets. The big news this week was the announcement of the Community Fund Bug Bounty programme. Up to 20,000 NAV is available as an incentive to try and break the fund. Payment will be on a sliding scale depending on the severity of the bug identified. The Community Fund is live on the testnet now, so why not head over to GitHub and do your best to hack it. At the time of writing almost 20,000 NAV had accumulated in the Fund. Over a full year 250,000 NAV will go into the Fund to pay for community projects, so the core developers want to make absolutely sure it’s secure. To check the latest balance visit the Fund address on the Nav Explorer. A video tutorial is in the works that demonstrates how to test the Community Fund and search for bugs. Keep an eye out for it on the social channels. Core developers and community devs have been testing the final stages of NAV OpenAlias for the upcoming NavCoin Core 4.3.0 release. This is a feature release with no fork required, so a consensus vote isn’t necessary before this update is merged with the mainnet. If you looked at the roadmap in the past few days you might have noticed that the Community Fund, Cold Staking and NAV OpenAlias have been shifted to a new category called ‘Beta Testing.’ This update was made to avoid confusion that’s been cropping up because the roadmap was showing these projects at 90% — but actually they have been built, and are either awaiting testing or currently being tested. Over the past week Core Content Creators continued their work on building resources to support the launch of NAV OpenAlias and the Community Fund. They also worked with Core devs to get the word out to the community, appealing for more people to get involved in testing the Community Fund in Github. If you haven’t already taken a look at GitHub you can see what’s going on here. Work has also begun on refreshing the NavCoin static websites. There has been a lot of new content added over the last 3–5 months, including the creation of the navhub.org community website. So now it’s time to take a step back and assess the overall user experience. This work includes reviewing where each page sits in the overall sitemap, the way pages are formatted, and whether the navigation allows content to be found easily, and where visitors expect to find it. This week sees the launch of a long-term project by community developer Hash512 — his NavCoin m8 staking device is ready to go later this week. Check out the description of its features a little way down the page, and give your support to this ambitious community project. For more details visit the Navcoin m8 website or join the Discord channel. Sakdeniz has been hard at work to release the latest version of the NEXT wallet — available for Windows, MacOS, and Ubuntu. This has a number of improvements, including the additional support of other cryptocurrencies. The Core developer’s key focus in the past week has been on refreshing navhub.org and navcoin.org. The revised sitemaps are being finalised, some pages were moved between the sites, and a new page was built for the Community Fund on NavHub. The overall objective is to make the role of each website clearer, and to improve and expand the resources available to the community. Two new NavCoin Protocol Improvement Proposals (aka NPIP) have been submitted to GitHub. Remember, these NPIPs are not set in stone roadmap items, they are merely proposals up for debate and discussion, if you have any thoughts feel free to discuss them on Reddit or Discord. Testing continued on NavCoin Core 4.3.0, including the new versions of NavPay. And to help with this two new members have been added to the Auckland team. Marcus and Gal are university students who will intern with Encrypt S while they complete their studies. Marcus is majoring in computer science and Gal is completing his PhD in mechatronics. Initially, to kickstart their blockchain skills, they will be involved in testing the Community Fund. The website refresh also occupied much of the content contributors time. Following best practice in UX/UI it’s crucial that visitors to the NavCoin websites are able to understand immediately what each website is about, and that they can find what they need quickly and easily. As part of this new and updated pages are being created, and more video content is being developed. NavCoin OpenAlias is still a major focus as you are now able to register your OpenAlias address. If you haven’t already claimed yours, why not do it now. This PR #213 completes the implementation of the OpenAlias protocol into the NavCoin Core client. OpenAlias is an standard created by the Monero Core project used in the Monero wallet and some other clients like Bitcoin Electrum which allows the wallet to translate email addresses into cryptocurrency addresses using custom TXT entries in the DNS records of a domain. A new argument (-bootstrap) is can be passed on initialisation to specify an URL from where a copy of the blockchain in TAR format will be downloaded and extracted in the data folder. Also adds a GUI submenu entry under FILE which lets you bootstrap using the GUI. In version 4.2.0 the wallet started hiding orphan stakes in the transactions list. This has caused some confusion with users as OS notifications were still showing while the stakes did not appear. We now clasify orphan transactions with a new "Orphan" status and show them in the transactions list. This PR #214 completely removes the use of the OpenSSL's class BIGNUM, substituting the uses of CBigNum with the class uint256 with extended arithmetic capabilities (arith_uint256). OpenSSL deprecated some BIGNUM functions in version 1.1, making the wallet unable to compile in systems which use the newer version. This patch fixes this issue. Applies https://github.com/bitcoin/bit... to fix ZeroMQ compatibility with Windows systems. Staking can now be toggled "on-the-fly" without restarting the client through the GUI or using the staking RPC command. The Wallet GUI is now fully translated to Spanish and Italian. Note: If you’re using a NavPi, you will receive a notification to confirm your auto-update. Starting on September 13, NavCoin Core public education sessions will be streamed live so international members of the NavCoin community can sit in. These occasional sessions will cover a range of topics that are relevant to anyone who’s interested in NavCoin and blockchain. The first one will be held next Thursday at 0830 GMT +12 and will cover the NavCoin Protocol Improvement Proposals (NPIP’s) for Static Rewards and Cold Staking. After the session, the videos will remain on Youtube, so you can watch them at your leisure. Stay tuned for more details. Prole has finished coding his Static Block Reward proposal NPIP004. Head over to GitHub and check it out. If you’d like to get involved in testing NPIP004, the binaries and testing notes will be available on GitHub after the Community Fund and Collab website projects have gone live. Work continued on the Community Fund Collab website. It has been migrated to AWS from the development server, content is being added, and the new design style is being applied across the site. Several PR’s for NavHub.org and NavCoin.org sites were reviewed, and time was spent on the roll-out of the refreshed NavCoin.org. The metadata on the NavCoin OpenAlias website is in the process of being optimised, page by page, to ensure it displays properly when shared on social media. Development of NavPi Lite is progressing with most of the framework needed to roll out the main send/receive/stake functionality. The login and API are secured by JWT token, the API is communicating to the NavCoin daemon and external APIs, and QR codes are rendering. Sakdeniz’ latest NavCoin creation has appeared on Youtube — ‘The Dark Logo.’ Video elements like this make a great basis for social media posts. You could share it on your favourite platforms. A shout out to @Chasethechaser for running the NavCoin Australia Twitter account. It’s contributions like this that make the Navcoin community great. Last week saw the Content Creators designing and writing supporting material and content for the Collab and NavCoin.org websites. They also set up the OpenAlias competition, and added to the bank of social posts in the buffer for release over the next seven days. The aim of gradually releasing social posts in this way is to ensure that there is a constant flow relevant information going out to the NavCoin community. 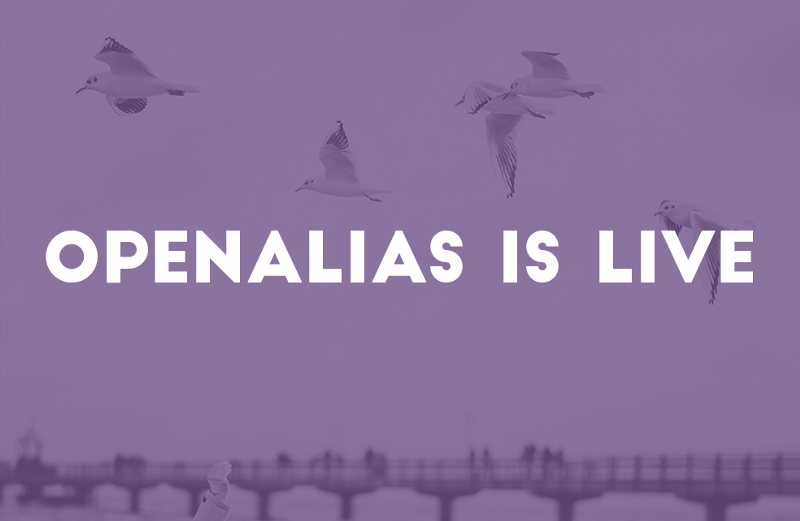 The competition to celebrate the launch of NavCoin OpenAlias was run over the past week, and at its conclusion, there had been a total of 8703 actions performed by users through the app. Halfway through the week, the prize pool was doubled to 4000 NAV — with 2000 NAV for the grand prize winner, plus ten runner-up prizes of 200 NAV each. The lucky winners have been drawn and are in the process of being notified. A list of winners will be released in the next day or so. Prole will take us through the NavCoin Protocol Improvement Proposals (NPIPs) for Static Rewards and Cold Staking. These talks aren’t aimed at a highly technical audience, so even if you’re not a developer it will be worth tuning in. BuckoNZ (on Discord) has further enhanced his Odroid XU4 NavCoin stakebox build. After the release of NavCoin 4.3.0 he was able to get a Graphical User Interface (GUI) instance up and running. You can find out more about his project here. Maybe there’s a way you could help out? With a number of proposed releases in the next few months, Prole is writing an article that explains them, why they are being proposed, and how they will be bundled together. This is planned for publication the next few days and will be shared on social media — stay tuned. Work is progressing on the page-by-page update of the NavCoin.org website. The page design templates have been finalised and content continues to be added as it’s created. Stay tuned for updates on when the refreshed site will be ready to be published. Like the current NavCoin and NavHub websites, it will be a static site on Github, making it easier for community members to contribute to and improve it. There are two new videos currently in production. 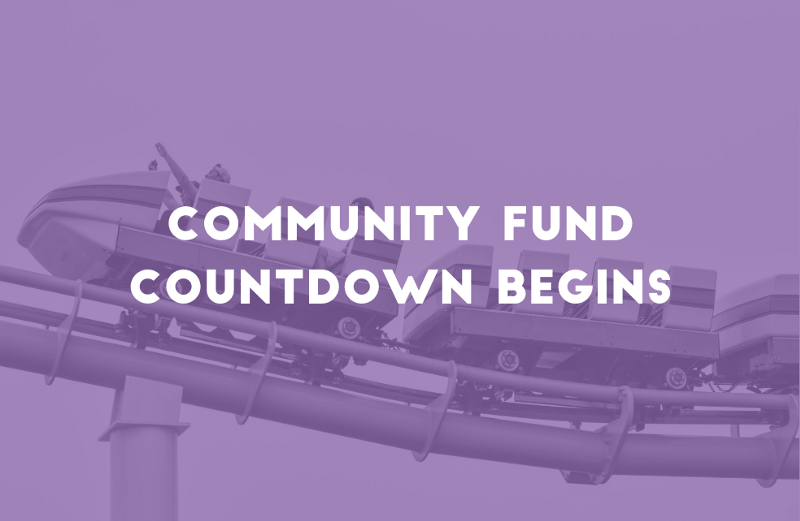 The first is for the NavCoin Community Fund and is intended to inspire people to get involved with this exciting open-source project by creating and submitting proposals. Alongside this, the Community Collab website is being refined and tested after its migration to AWS last week. The second video is for the homepage of the refreshed NavCoin.org website and will showcase the ecosystem that’s grown up around NavCoin and its global community. The purpose of this video is to give newcomers to NavCoin a brief, but engaging introduction to NavCoin. As well as remind existing community members of everything that they have achieved so far, and how they could contribute to NavCoin’s development in the future. The testing of the claims process for the Community Fund is largely completed and the final pieces of this puzzle are falling into place for the fund’s launch on the mainnet. There’s still a few things the Core Team and community are working on to line up for the launch and also set up for future development of the NavCoin protocol. NavCoin Core are working with Prodpeak from NavExplorer.com to build the tools necessary to create, browse and vote on proposals. NavCoin Core are working on a full redesign of the NavCoin.org website which will better explain NavCoin’s eco-system and how to get involved in the Community Fund. We’re also launching a separate website which will be a collaborative workspace for teams working on proposals. We are aiming to get these last pieces ready within the next 4 weeks to coincide with the mainnet launch of the Community Fund claims mechanism. The Content Team are also shooting a video to promote the Community Fund in early October which we hope to have released soon after the launch of the Community Fund on the mainnet. There’s quite a lot going on, so I want to talk through our plans for the next few releases of NavCoin Core so you can understand what is happening when and how it fits into the mid-term game plan. NavCoin 4.4.0 is planned to contain 3 soft forks which can be individually signalled but will be automatically signalling yes in the new version. We are expecting to publish v4.4.0 about 4 weeks from now. This version bit signals for the soft fork to activate the claims mechanism for the Community Fund. You can read more about the NavCoin Community Fund on the NavCoin website. This version bit signals for the soft fork to activate NPIP0003. This is largely a technical improvement which consolidates mined Community Fund contributions to every 500th block instead of every block to reduce blockchain bloat. You can read more about NPIP0003 on the NPIP GitHub. This version bit signals for the soft fork to increase the Community Fund contribution from 0.25 NAV to 0.50 NAV per block. The reason why we’re proposing to increase the Community Fund to 0.50 NAV is partly due to the current price of NAV being quite low and secondly to retain the 80:20 ratio we originally intended with the fund when after NPIP0004 switches mining to a static block reward of 2 NAV per block. You can read more about NPIP0004 on my Reddit post. With a fixed block reward of 2 NAV and 0.5 NAV to the Community Fund, overall inflation will be around 4.17% per annum and exponentially deflating. Mining rewards would be as high as 10.5% per annum with the current network weight but will more realistically be around 5% once more miners start up. We think it’s best to bundle these three soft forks together into a single wallet version since they are all to do with the Community Fund. We also don’t want to release soft forks too frequently because they become mandatory updates once locked in. If you disagree with all of these, simply don’t upgrade to 4.4.0, or if you disagree with one of these proposals you are able to turn off the particular version bit you disagree with. NavCoin 4.5.0 is planned to contain 2 soft forks which again can be individually signalled but will be automatically signalling yes in the new version. We are expecting to publish v4.5.0 about 4 weeks after v4.4.0 is published. We are conscious of trying to find a balance between having too many consensus changes voted on simultaneously and releasing too many wallet versions for people to keep up with. We are hoping 4 weeks between these version gives everyone enough time to be informed and update. This version bit signals for the soft fork to activate NPIP0004. This change will modify the staking mechanism for NavCoin to be a static reward of 2 NAV per block instead of a percentage based on coinage. You can read more about NPIP0004 on the NPIP GitHub or further discussion and rationale is posted to this reddit thread. This version bit signals for the soft fork to activate NPIP0002. This change will allow for Cold Staking addresses to be created and for seperate spending and staking keys to be used on hot or cold wallets. You can read more about NPIP0002 on the NPIP GitHub. These two soft forks will bring NavCoin’s consensus protocol to be inline with the PoSv3 spec as outlined by Blackcoin. It makes sense to group these two consensus updates together. Again you can choose to (or not) support any or all of these by signalling yes or no on the correct version bit once NavCoin Core v4.5.0 is released. With the Community Fund development finished, the main protocol development focus of the NavCoin Core developers will be on upgrading NavCoin’s privacy capabilities. Alex posted about this on Reddit a couple of days ago, so head over there if you want to join the discussion. NavCoin’s previous privacy solution NavTech was an innovative solution when it was released in 2015, but there have been many innovations in private transactions since then. Instead of sinking time into solving some of the inherent issues which NavTech faces, the NavCoin Core developers have planned a solution to bring the privacy on-chain to make it trustless, decentralised and without reliance on a third party. As always, we are committed to being innovators in the cryptocurrency space and our solution is not simply copying and pasting some lines of code from another project. We have taken the time to survey the privacy space, sort the good from the bad and come forward with our own solution that uses tried and tested fundamentals but is unique, innovative all while still being simple to use. More details about NavCoin’s new privacy solution will be released when we get closer to releasing the alpha build on the testnet. Integrating the new features and thoroughly testing it will require some effort, it might take us a couple of months at least to get the alpha ready. Privacy is one of the core principals of NavCoin’s manifesto and the Core Team will be dedicating our efforts to making NavCoin’s privacy available again. One thing to note is that the privacy solution we’ve designed has a prerequisite that NavCoin’s consensus protocol is PoSv3 compliant. So it’s important to make these changes in the correct order so they can all be smoothly deployed when ready. After the new privacy solution is deployed, the NavCoin Core team will be focused on continuing the Kauri Wallet build which will then unlock a lot of the roadmap’s upcoming projects for development like the Kauri DAEx and NavMorph. It will also allow us the space to commence work on the Alpha build of the Valence Platform. With the community fund active we also hope to see a lot more projects from other dev teams and community members get added to the community roadmap in the near future. Personally I’m excited to see what plays out over the next months as all the community’s hard work comes to fruition. After months of development, testing and re-testing, the NavCoin Community Fund is almost ready to go live. With only a little while longer to wait, it’s a good time to get to thinking about how you could utilise the Community Fund — such as what types of projects you would like to see funded. Feel free to share your thoughts on Discord, and see if others agree! The redesign of NavCoin.org is finished and will be live in the next week. A refreshed roadmap is also part of this project and aims to help tidy up how the roadmap is currently presented. Instead of having a single roadmap with both protocol & community projects combined into one, there will be a roadmap for protocol development on the navcoin.org website, and a roadmap for layer 2 community projects on navhub.org. With 250,000 NAV accumulating in the Community Fund every year security is extremely important and testing has absorbed hundreds of hours of Core Developer time. The wider community also made a significant contribution. 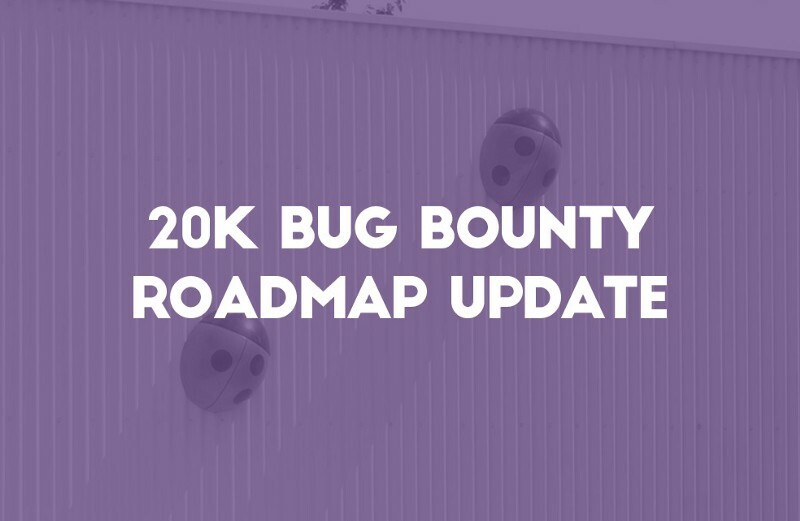 The 20,000 NAV Bug Bounty was created to incentivize community members to try and break the Fund, and two bounties were paid out to community members who identified bugs. If you reviewed the code, the Core Developers appreciate your help with this project and encourage you to keep reviewing and contributing to the NavCoin code base. This is a simple form that can be embedded into other websites to enable users to easily create and vote for NavCoin Community Fund proposals. It automatically generates the console commands for you to enter into your NavCoin wallet, so you don’t need to know how to write them yourself. This tool is still being refined, but if you’d like to review the code now, it’s available now on Github. Beekart has been busy adding to his amazing NavCoin artwork series. To see his latest creations head over to Twitter and follow him @Rogiervdbeek. Also busy this week was Chasethechaser (on Discord) who utilised some of Beekart’s work to make this infographic for the Community Fund soft-fork. Despite having no prior experience with Photoshop or Illustrator, chasethechaser simply watched some Youtube tutorials and learned on the job. Share your work on Discord or Twitter and show the community how it’s done. The Community Fund ‘inspirational video’ for social media channels and the NavCoin.org home page videos are both in production. The creative team met with the film crew this week to plan the shoot and scout locations for filming. The next step is casting the ‘talent.’ The aim is to find a diverse range of people to reflect wide variety of people who make up the NavCoin community all over the world. The shoot is scheduled in the next few weeks and you can expect to see the finished videos in late October. NavCoin has joined the Blockfolio Signal beta and is now releasing real-time, exclusive NavCoin Core developer updates as well as other coins in your portfolio manager. It’s here! After months of work by the Core Content team and Core Developers, the new NavCoin.org website is online. It has a fresh new look and new content. 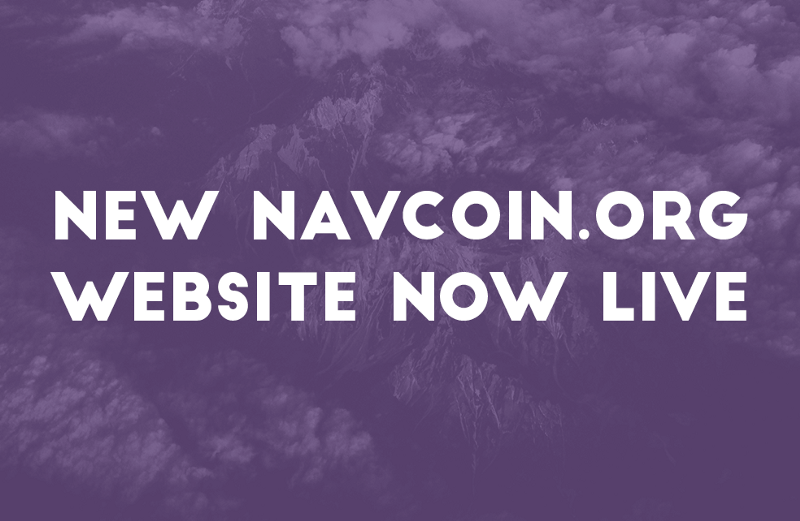 The aim of updating the site was to simplify its structure, make navigation more intuitive, and communicate NavCoin’s unique features and capabilities more effectively to new visitors. Why not head over to the site and have a click around now. We hope you like it. The NavCoin Digital Hackathon begins in a few weeks. There are three challenges to choose from, so you can select the one that suits your skills the best. Competing in the Hackathon is a great way to get some practice for submitting proposals to the NavCoin Community Fund, which launches very soon (see the item below). Registrations will take place on the NavCoin Collab website so make sure you’ve joined, and more details will be available soon. Tune in to NavCoin Core’s Youtube channel next Thursday 18 October at the usual time 0830 GMT +12 for an in-depth presentation on the new NavCoin Community Fund by Alex and Craig — its lead developers. The NavCoin Community Fund is the world’s first fully decentralised fund — both in governance and how the funds are distributed. This session will give insights into how it works and how you can get involved as a contributor. See you there at NavCoin Core’s dedicated Youtube channel. Get your NEXT wallet now. Have you checked out Sakdeniz’ NEXT wallet yet? This is another great example of a community developer following through on a great idea and bringing it to life. Its features include a block Explorer and an in-wallet proposal maker for the Community Fund. Check out all the other features and download the NEXT wallet here. Core developers had planned to launch NavCoin Community Fund this week, but as they were performing the final checks they found a ‘edge-case’ bug. As Core developers, they are governed by the NavCoin Developer Manifesto, which states that network security and stability comes above anything else — so they have pushed out the release by a few days. While the fix was simple, the impact was that all the tests need to be run again and everything checked and rechecked. So far everything is looking good and the Community Fund should be released shortly. 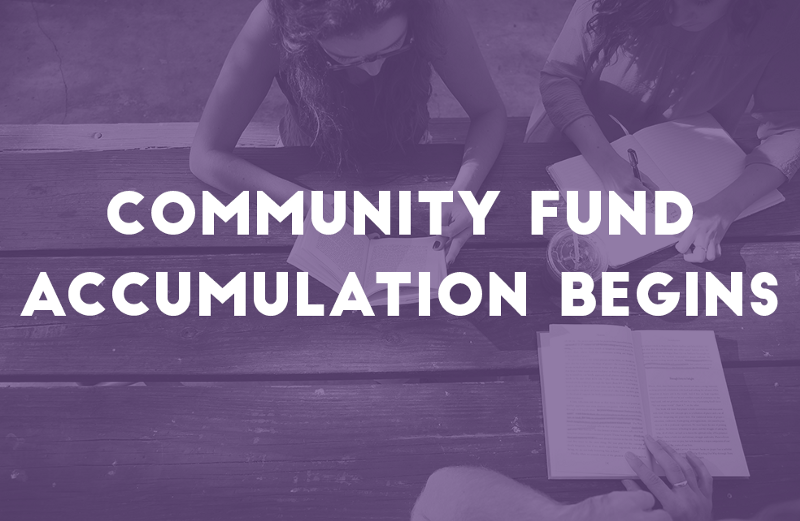 The Community Fund proposal builder has been integrated into the NavPi and is now undergoing final testing. We’ll let you know when it’s ready to go. A new NavCoin Developer Documentation website is being built. The aim is to create a reference point for developers who want to contribute to NavCoin, or who want to build applications that interact with the NavCoin blockchain. It will detail things like how NavCoin’s version of Proof of Stake works, what RPC commands are available, launch options for the Core wallet, and options for its CONFIG file. Now that the new NavCoin.org site is live, the Content Creators are moving onto the next item on their roadmap — refreshing NavHub.org. 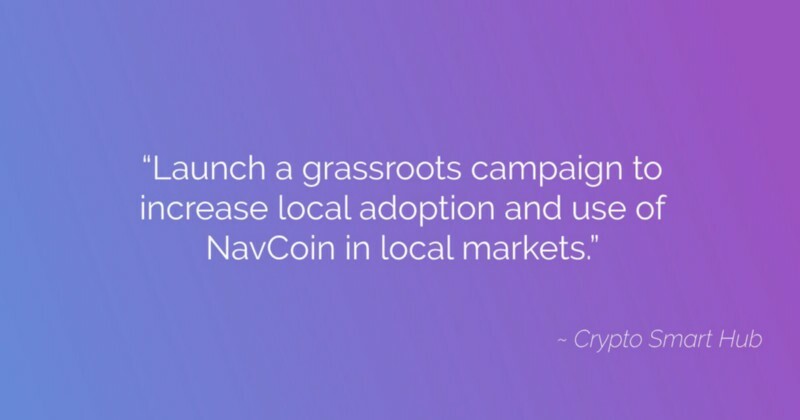 This site is important because it’s one of the main avenues for community members to get involved and contribute to the NavCoin ecosystem. The first step is to define the role of each page on the new site and decide how to execute it most effectively. The shoot for the Community Fund and NavCoin.org home page videos has wrapped and crew are happy with the footage they captured on both days of filming. The next stage is selecting the best takes and editing them together. There is a lot of material for the editor to choose from, so this part of this process is likely to take a couple of weeks. Once the Core Content team is happy with how the pictures have gone together, a designer will work with the editor to create graphics to go over the pictures. The graphics will include full English subtitles and extra NavCoin branding elements. Thanks again to everyone who gave their time for free, and helped make these videos possible. Carter has done a write up on NavHub talking about the overall process for redesigning the NavCoin.org website. A good behind the scenes look at how the team arrived at the finished product! The ATM design poll on NavCollab is ready to go. 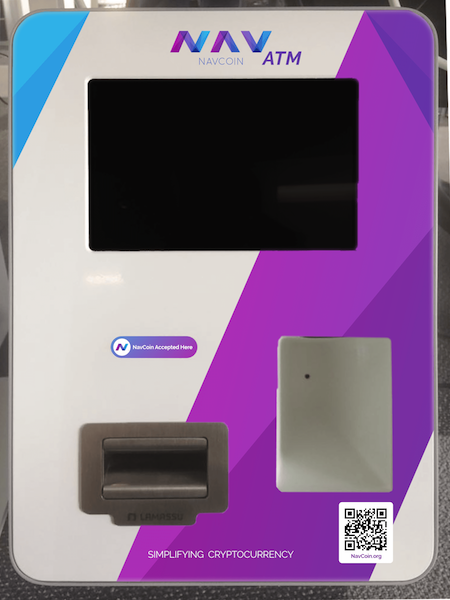 A few community designers have created mockups for a NavCoin ATM. All you have to do is make your profile and cast your vote. This is one of the entries — what do you think? This is your chance to learn all about the new NavCoin Community Fund from the experts — lead developers Alex and Craig. You’ll find out why the Fund is a unique example of true decentralisation, hear about the innovative thinking that went into its development, and get insights into why testing and retesting has been such an important part of the process. Tune in to NavCoin Core’s Youtube channel Wednesday 17th October at 1930 GMT. NavCoin news is now available on Delta Direct — an app for iOS, Android and desktop, developed by Delta, the cryptocurrency portfolio tracker. Delta Direct is similar to Blockfolio Signal and has over one million subscribers. To get Delta Direct head over to your phone’s app store and search ‘Delta Crypto Portfolio Tracker’ or download the desktop version for your computer. Follow this Space if you would like to learn more! If you have a Facebook account a simple way to help promote NavCoin is to go to the NavCoin page, and in the right-hand column under “community” click “invite your friends”, click “select all” and click “send invitations”. It only takes a moment, so why not visit Facebook now? NavCoin has just been added to another exchange. The NAV/BTC trading pair is now available on BitexLive which is based in Turkey. The new Core Wallet 4.4.0 is in final testing ahead of the Community Fund launch. Along with that, a new NavPi image was prepared for release with this version of the Core Wallet. Core developers began writing content for the upcoming developer documentation website. This site is intended to become a comprehensive resource, and make it much easier for developers to contribute their skills to the NavCoin community, either by contributing code to the NavCoin protocol or creating new software and services on top of it. It complements the NavCoin Knowledge Base which is there to provide assistance and information to users of existing software and services within the NavCoin ecosystem. A Spanish translation is in the works for the refreshed NavCoin.org website, with more languages to come. If you’re interested in translating NavCoin.org into a language you’re fluent in please visit the #dev-websites channel on the NavCoin Discord. Sakdeniz has released the latest version of his NEXT wallet, which includes a NavCoin block explorer and a Community Fund proposal manager. Download your NEXT wallet now. Planning has begun for a community event to finish off 2018 on a positive note. There will be presentations, discussion sessions, and interactive workshops that you can view and take part in from anywhere. Look out for more details in next week’s edition of NavCoin Community News. Prole appeared on Naomi Brockwell’s “Weekly Crypto Recap” — a wide-ranging, lighthearted discussion on the latest news and developments in the cryptosphere. You can find the link to the video from Naomi’s Twitter post. The deployment of the Community Fund on mainnet is signaled through Version Bit 6. The Version Bit 14 will signal for the soft fork to activate NPIP0003. This is largely a technical improvement which consolidates mined Community Fund contributions to every 500th block instead of every block to reduce blockchain bloat. You can read more about NPIP0003 on the NPIP GitHub. The Version Bit 16 will signal for the soft fork to increase the Community Fund contribution from 0.25 NAV to 0.50 NAV per block. You can read more about NPIP0004 on the NPIP GitHub. This release introduces the concept of bit version rejection. It is designed to make it easier for the network to reject individual soft forks when they are bundled together in one release. As soft forks come within the software signaling by default only the converse was needed for people to reject soft forks they did not agree with. A new config concept has been added called rejectversionbit. Users can signal all the soft forks they reject by adding the following to the config. 1. "navcoinaddress" (string, required) The navcoin address where coins would be sent if the proposal is approved. 3. duration: Number of seconds the proposal will exist after being accepted. 4. "desc": Short description of the proposal. 5. fee (optional): Contribution to the fund used as a fee. 1. "hash" (string, required) The hash of the proposal from which you want to withdraw funds. It must be approved. hash: prequestid, (string) The payment request id. strDZeel: string  (string) The attached strdzeel property. Adds/removes a proposal to the list of votes. List the propsals and all the releaing datat including payment requests and status. 1. "filter" (string, optional)    "accepted" | "rejected" | "expired" | "pending"
This is an exciting day for everyone in the NavCoin community. NavCoin Core 4.4.0 has been released. What’s most significant about the latest version of NavCoin Core is that it allows for the activation of the NavCoin Community Fund. The NavCoin Community Fund is the first in the world to be fully decentralized, both in the way it’s governed and how the funds are managed. Without the participation of many people within the global NavCoin community, it would not have been possible. The NavCoin Core team would like to thank everyone who contributed their time and skill to bring it to life. Once consensus is reached there will be a one week lock-in period, and after that, the Fund will be activated, and open to submissions. You will be able to submit your proposal using the built-in proposal form in the latest version of the NEXT wallet, or via RPC commands in the NavCoin Core wallet (for details check out the knowledge base article). It’s anticipated that the NavCoin block explorer will also include a proposal generator tool in the future. Look out for an announcement in social media when the lock-in of NavCoin Core 4.4.0 is achieved. To learn more about the community fund — check out the wallet release article by Alex or visit the Community Fund page on the website. 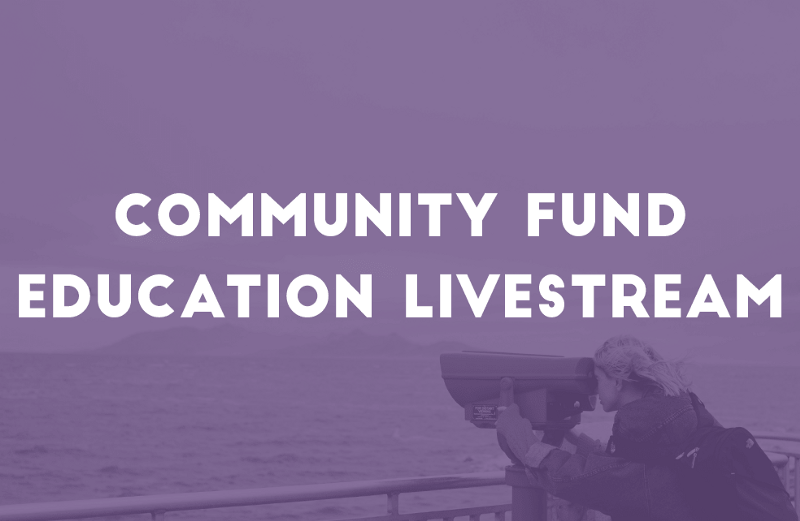 Last week Craig presented the third in the series of live-streamed public education sessions, which focused on the Community Fund. If you weren’t able to make the live stream, don’t worry, you can still watch it on NavCoin’s Youtube channel, along with the first two live streams and other NavCoin videos. There will be more live streamed sessions in the future. Look out for updates here and in social media. With so many different projects going on it’s easy to lose sight of the big picture. With that in mind, Craig put together this project summary document for a high-level view of where NavCoin is heading. This is a great document to share with people new to the NavCoin community. Cyber Pan has proposed a bus advertising campaign to raise awareness of NavCoin in major cities. Already there is some interesting discussion going on. Follow this Space if you would like to find out more and contribute your own ideas. The Hackathon is coming soon. Are you looking forward to the NavCoin Digital Hackathon? It’s not far away. The first step is to join the NavCoin Collab website and create a profile. Once you’ve done that you’ll be ready when Hackathon registrations open — standby for more details soon. Note: some users are having issues registering for the NavCollab site, but developers are working on fixing the issues, so we appreciate your patience. This is an initiative on social media to inspire people to share and discuss ideas about what you would like to bring to the NavCoin community. Head over to NavCoin Twitter or Facebook, search #HumansOfNavCoin and read up on the ideas so far. You can like, comment or share your favourite content to spread the word to your own friends and followers. Sakdeniz created this awesome promo video for the Community Fund. It highlights the best features of the Community Fund in a simple way, so make sure to check it out on Youtube. For some Halloween fun, @Powertrader200 is putting on a NavCoin pumpkin carving competition! Post a picture of your NavCoin pumpkin with the hashtag #NavCoinPumpkin anytime before October 31 for a chance to win 250 NAV. Alongside all our current channels, the weekly community news will begin to be sent out via email. If you would like to sign up to the email list, please sign up here. Community members are signalling their agreement to the latest protocol update by downloading the new Core wallet, and the three soft forks are getting very close to lock-in. At the present rate, each will achieve the necessary 75% consensus by the end of the current block period — which is likely to be in the new few days. Check out the NavCoin block explorer to see the latest voting stats. Once the soft forks are locked in, there will be the usual one week upgrade period, and after that, the NavCoin Community Fund will be activated. When the soft forks are locked in you’ll have a seven day grace period to update your wallet, but after that, you risk being dropped from the network — so if you haven’t already done it download the latest version of the Core Wallet now. Translators will now be able to contribute translations direct to NavCoin.org. However because the process is not fully automated, you might still require some assistance from the NavCoin Core developers. Please feel free to get in touch via Discord. Some broken links were fixed on NavCoin.org and pagination was added to the NavHub news page, which now loads approximately 90% faster. The first iteration of the NavCoin Dev Documentation website is nearly complete. It will give developers a resource that helps make it easier to contribute code to the NavCoin protocol or create new software and services on top of it. It’s important to note that it’s not a replacement for the NavCoin Knowledge Base which provides assistance and information to users of existing software and services within the NavCoin ecosystem. Look out for a launch update soon. The Collab Hackathon will be a fun and easy introduction to making Community Fund proposals. Just describe your concept and how it could benefit the NavCoin community or even the world! You don’t need complex calculations or everything perfectly thought out — just put your thinking cap on and give it a whirl! The Hackathon will be run through NavCoin’s social channels, so everyone will have a chance to share their ideas and chip in with helpful feedback. A couple of weeks ago Craig published this NavCoin summary with a high-level view of where NavCoin is heading. If you haven’t already read it, it’s well worth doing so. It’s also good for sharing with people new to NavCoin, so they can see everything that’s going on and get excited about becoming part of this thriving community. The Core Content team were out of the office on Monday for an intensive working session to formulate a strategy for the next few quarterly periods, and brainstorming new ideas to attract new people to the NavCoin community. Dr Ropata (on Discord) posted his take on the top Community Fund proposals so far on Steemit. Check them out to see what other NavCoin community members are planning and get inspired. This social media initiative is all about celebrating and sharing the great ideas that come from NavCoin community members all over the world. 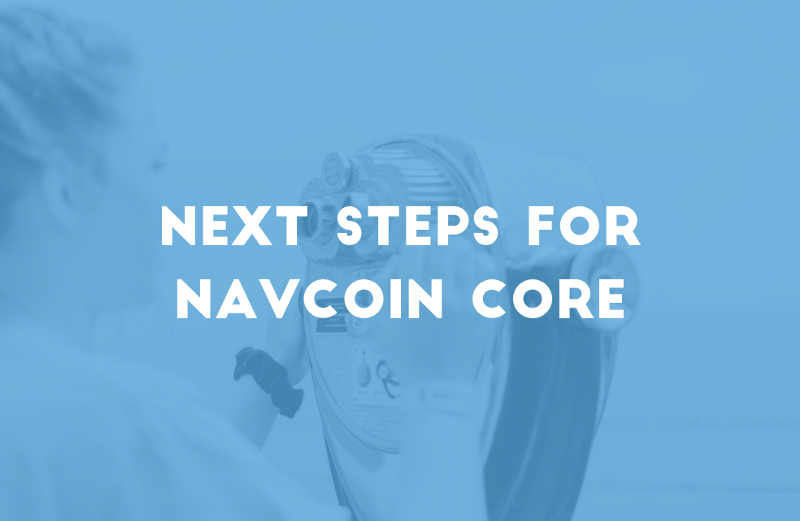 To support the community’s efforts, NavCoin Core is going to offer their help and support to one of the most popular proposal ideas. 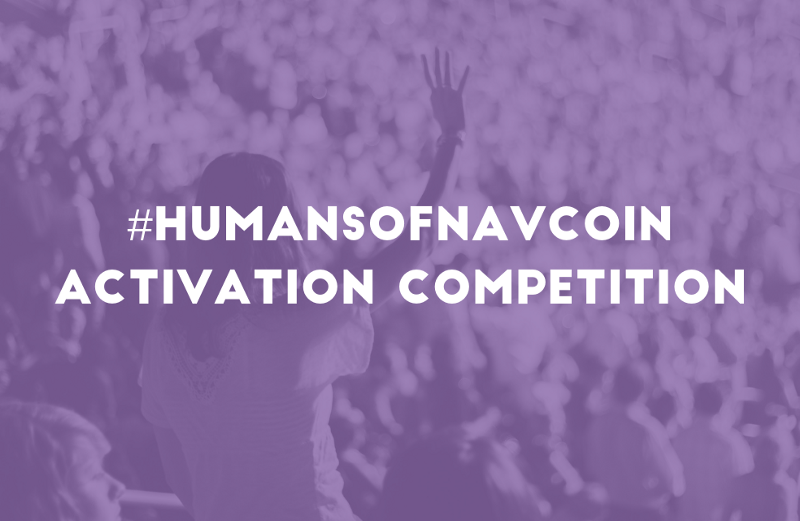 All you have to do is tweet your proposal idea with the hashtag #HumansOfNavCoin. The more likes and retweets your tweet gets, the more entries you get into the competition. We will pick one of the most liked and retweeted proposal ideas, and help the creator to bring the project to life. NavCoin Core will help the winner publish their idea, submit the funding proposal, promote it to the NavCoin Community and even help to execute the idea or help find the right team which can. Read up here for more information on how to get your project off the ground with the support of the NavCoin Core team. Alongside all our current channels, the weekly community news is now being sent out via email. If you would like to be added to the email list, please sign up here. The big news from the past week in the world of NavCoin is that the 4.4.0 soft-forks have locked in, which activate the Community Fund and double the network contribution to the Fund from 250,000 to 500,000 NAV per year. That means that the world’s first fully decentralised Community Fund is almost ready to go! Once it activates, there will be nothing holding you back from submitting your ideas and applying to have them funded by the network. There is a 7 day waiting period between the lock-in and the activation of the soft-fork, in order to allow stakers to upgrade their wallets. The activation will occur at block height 2,620,800 which is roughly in a few days time, after which, you will be able to submit proposals. After this block, nodes running 4.3.x and below have an increasing risk of ending up on a fork from the main chain and forking will become unavoidable when the first payment request is processed. It is highly recommended to upgrade to version 4.4.0 as soon as possible to avoid any problems after the consensus change activates. After the soft fork activates, the upgrade is considered mandatory and all older versions of NavCoin Core become deprecated. You can download the latest wallets here. Already there are interesting proposals appearing on the NavCollab site, Reddit, and #HumansOfNavCoin. If you have a great idea, but not all the skills to bring it to life — don’t let that stand in your way — just put your idea out there and don’t be shy about asking for help from other community members. Within this global community, there are remarkable people with a range of skills to call on. Remember what you propose is entirely up to you — all you have to do is convince the community that your idea is worth voting for. Go to the NavCollab website, create a profile, and create a Space where you can propose your idea. 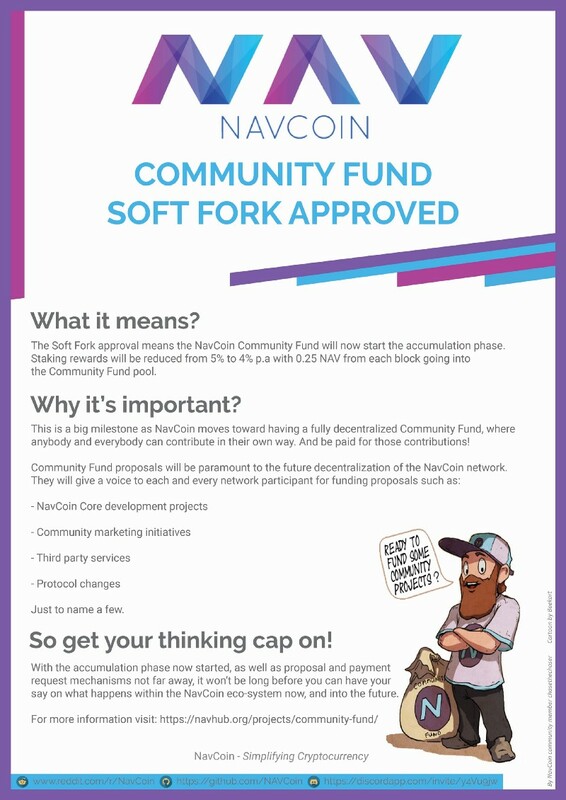 Post an idea in the Community Fund channel on Discord, or in the NavCoin subreddit. Post your idea to Twitter and use the #HumansOfNavCoin hashtag to help it get seen. You can also search #HumansOfNavCoin on Twitter to see what others have suggested. Sakdeniz’ NEXT wallet includes a built-in Community Fund proposal form. Proposal generator + NavCoin Core wallet. Go to the Community Fund page and scroll down to the ‘How to Create A Proposal’ section in Step 4 to a form that generates the code to paste in your NavCoin core wallet. NavCoin lottery proposal on Reddit. Nav_Whale posted an interesting idea for a NavCoin Lottery that would reward stakers by putting them into a monthly draw to win NAV. Check out the comments below this proposal to see what other community members are feeling, and add your thoughts. Marcus, who was involved in testing the Community Fund, has started working full-time with the NavCoin Core devs during his university break. Alex, who is also a computer science major at the University of Auckland, has joined the NavCoin Core team as an intern during the summer break. Along with Marcus, he’ll be involved in testing the next NavCoin Core release (4.5.0), which includes cold staking, and static rewards (the subject of NPIP004 which is currently being discussed by the community). The plan is to find several more interns to work with the Core Developers and the Core Content team in Auckland over summer. Currently these internships are unpaid positions, however, funding is the subject of a Community Fund proposal by Prole, which you can read about at the NavCoin Collab site. To help support the Community Fund, the content team are currently preparing a boot camp that will give you everything you need to know about developing a strong proposal. The aim is to collaborate with other crypto communities that have community funds and create valuable content that will be useful for everyone (and integrating NavCoin into this content). If you would like to sign up to this — please complete this form to register your interest. The weekly community news is being sent out via email. If you would like to be added to the email list, please sign up here.